CTFC drew 0-0 with Alloa at Recreation Park as we extended our unbeaten league run to 21 matches but, ICTFC Boss, John Robertson was frustrated with the club’s 7th draw of the season. Robbo made two changes to the side that drew 1-1 with Dundee United last week with Jamie McCart coming in for the suspended Coll Donaldson and Aaron Doran replacing Ricky Calder in the starting eleven. Brad Mckay went down injured early on but was able to continue after treatment. The first chance of the match fell to Alloa as Mark Ridgers had to get down low to save a drive from Kevin Cawley after 12 minutes gone. Zanatta looked a threat for the hosts and he went on a mazy run just after the 22nd minute mark but good defending from Shaun Rooney stopped the on-loan Hearts winger in his tracks. Caley Thistle had their first chance of the match just after the 25th minute mark as some good play resulted in Whited laying the ball off to Tom Walsh but his shot was held by Parry. 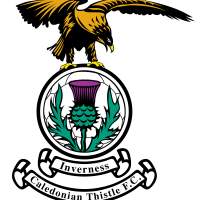 ICTFC then suffered a blow as Captain Carl Tremarco went down with a thigh injury and had to be replaced by Ricky Calder just after the half-hour mark. The Wasps had a couple of chances just before the break, firstly Connor Shields went close as he was played in on the right hand side and Alan Trouten went close with a chip but it was just over the bar. Jamie McCart was called into action right on half-time as he blocked a goal bound Zanatta shot. Brad Mckay had the Caley Jags’ best chance of the half as he met Chalmers’ corner, but his effort was inches wide. In the second-half, Inverness started strong and Tom Walsh bent one just over straight after the restart to the half. Brad Mckay was then called into action as he blocked Flannigan’s goal bound effort on its route to goal. Joe Chalmers had a long-range effort go just over the bar on the hour mark as ICTFC searched for the opener. Alloa had a chance to open the scoring through Connor Shields but his chance from a tight angle was just wide. ICTFC pressed for a winner and went in searching for one as Daniel Mackay came on for Aaron Doran. Mackay looked to make an impact straight away as he unleashed a shot from 20 yards but it was over. With 15 minutes on the clock, Alloa almost had a winner, Zanatta’s effort hit the crossbar as the on-loan Hearts winger received the ball on the edge of the box. ICTFC searched for a winner as Nathan Austin was introduced for the final 10 minutes of the match and the Caley Jags had two good chances in the final stages of the game. Firstly, Joe Chalmers’ free-kick was flicked just wide by Jamie McCart and a flick on by Austin found Daniel Mackay but the youngster’s effort was dealt with by Parry who was quick off his line. The Caley Jags now have two matches and they play Dunfermline and Ross County as they look to build on their unbeaten start to the campaign.